I’m so thankful for his Radical Reality ministry camp every summer during my high school years. I looked forward to the week of camp every year.Donnie Moore helped me to grow my faith during high school and although I hit a rough patch after high school, I have never forgotten his conviction, his passion, and his life giving words as he prayed over me during camp one year when I responded to an alter call. 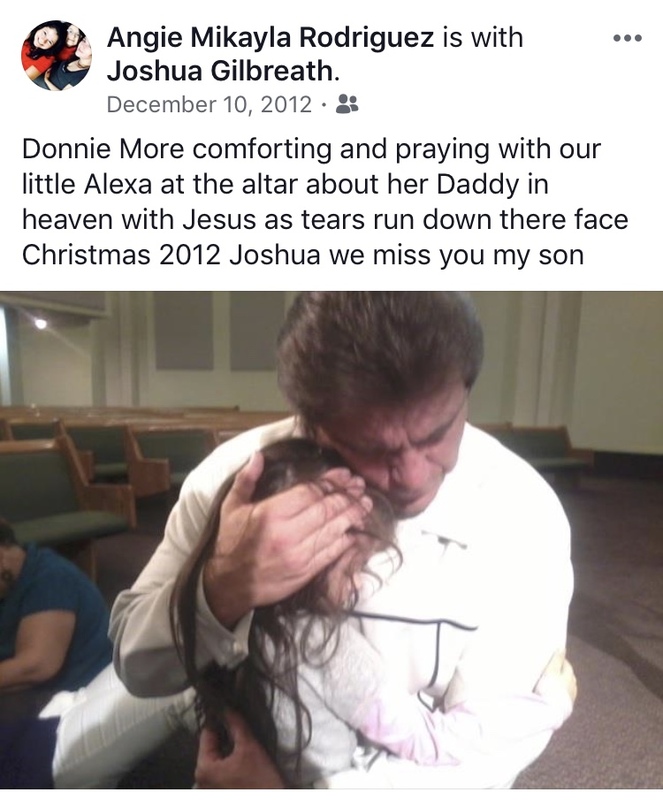 Donnie Moore was a father to the fatherless. His stories consumed me and inspired me over the years. Donnie is the reason I want to become a public speaker and maybe who knows- a pastor leading young people to the Lord like he did. He touched so many young lives and led so many to Christ. I was truly honored to have met him. His legacy will live on for generations. We need more Donnie Moores in this world living fully unabashedly for Christ on this Earth. Some of the most meaningful moments of my life happened at Radical Reality camp over the summer. I’ll never forget how I changed and others around me changed. I thank God for his life and his obedience to the Lord’s call here on earth. God has called his good and faithful servant Donnie Moore home! I rejoice with you for his life and morn with you for your loss on earth. My deepest sympathy in your time of grieving. This world has lost a good man. I had the pleasure of being the youth camp nurse the past two summers for Horizon Community Church at Rockaway Beach, Oregon where Donnie was the guest speaker. He spoke powerful words of encouragement over me, over everyone, really. He always ignited fires of hope, healing and strength in the hearts of those he came in contact with. I sat next to him, surrounded by youth raising their hands in worship and getting prayed over, as we shared the earthly weights on our minds, and he put his arm around me and pulled my head to his side as we talked about losing my young son Justus to suicide. In that moment I felt comforted by his father heart, a longing I have missed out on in the physical and emotional absence of my own father. I can see him now, face to face with his Creator-Redeemer in heaven, with joy unspeakable. My heart is glad for him, yet it aches for all of us still living in the Shadowlands. I’m from Florida, i moved to California to be with my now husband. My family is very far from me now, some on Florida, Jamaica etc. My father is in Jamaica and the night i met Donnie i was very sad. I missed my dad so much, at the time it’s been 10 years since I’ve seen him. Well Donnie spoked to me and my husband and we loved him from that moment on. He was so kind and so funny. Well that night like i said, i was very sad cause i missed my dad. Donnie came to me and just said “come here” and gave me the biggest dad hug. Made me feel so warm and at peace. I really think God hugged me through him. This is something i would never forget. My heart goes out to every one of you deeply affected by Donnie’s passing. I don’t know his family or friends but i do love everyone of you and I pray for peace and understanding in this sad time. Remember that heaven gained such a wonderful man of God! God bless everyone of you. My son didn’t start really getting into church until he went to Donnie’s youth camp and church youth group. He has such amazing memories of being filled with the Holy Spirit at camp. He loved watching Donnie and his crew at church events and baseball games breaking bricks and bending frying pans. He has a frying pan signed by Donnie which he will always treasure. He was sad that his younger sister will not get to see Donnie at camp. In November 2014 my mom had lost her only son to cancer at age 50. 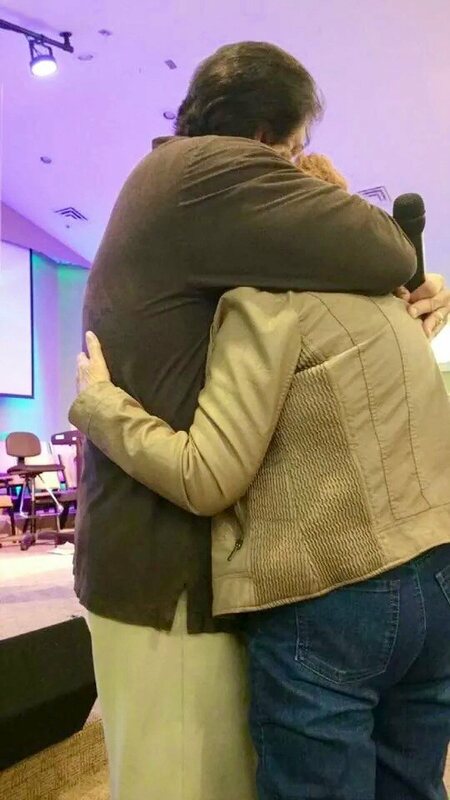 A week later I told her Donnie Moore was visiting our church so she came to visit. After church we went to lunch and happened to go to the same restaurant that Donnie and Pastor D’s family was at. She started talking to Donnie and told him she had just lost her son, showing her a pendant she wore with a picture of him. They talked briefly then we went on our way. That evening we went to the church service as Donnie was preaching again. In the middle of the service he called my mom out and asked her to stand. He went to her and gave her a big bear hug and said he had been waiting to do that all day long. You have no idea how important that was to her, that someone she really didn’t know acknowledged her pain and the loss of her son, someone showed her love and friendship during her time of need. We will never forget that simple act of kindness and the blessing that was poured out on us just from that simple acknowledgement. My mom – and all of us loved Donnie and will never forget his messages and love. Our prayers are with you during this time. God has him in his arms now and you will always have him in your hearts until you see him again. Donnie was a world changer, we need more people like him.